Tiramisu,the name itself evokes a sense of wanting doesn't it?After a long long wait,I finally tasted my first Tiramisu a couple of days back.I have come across the name on many different menus across restaurants in Chennai but was apprehensive to try.I didn't want the first impression to be a damp squib.After hearing quite a number of good reviews,I had mine at The Pasta Bar Veneto and fell in love with it. The first part is making the sponge cakes.I made the never-fail eggless sponge cake recipe which I've tried here.Of course,making Mascarpone cheese on your own is only for us deprived souls who do not get to buy it off the shelves.But let me tell you,it is so worth it! Grease an 9’ round cake tin. With a long metal icing spatula, smooth the frosting around the sides of the cake and over the top.Stick chopped chocolate pieces on the sides and do a doodle design on top if desired.I piped some swirls with some chocolate ganache. I know the recipe can fill up pages,but if you attempt each element on its own,it is not so difficult.Only a matter of making a sponge and the filling,that's it,easy isn't it?Hope you try this piece of heaven,it truly is! Brilliant, this looks. Also love the related posts link below :)Pasta Veneto - what place is this? 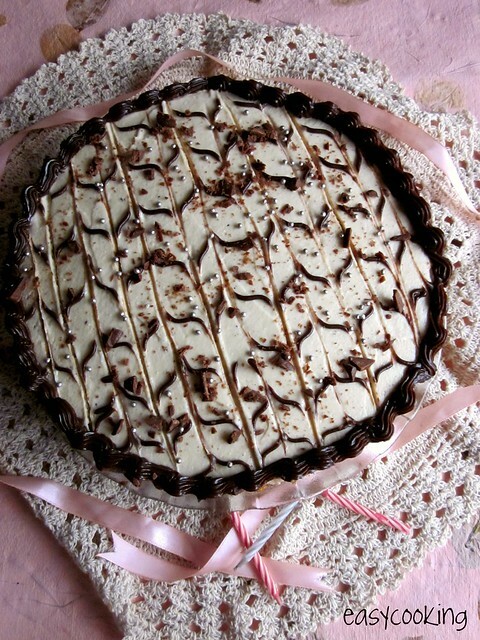 Tiramisu Cake looks superb. Very tempting. Don't remind me of the coffee -mascarpone combo, it truly rocks! And from what I have heard, home-made mascarpone cheese is better than the store-bought ones.. 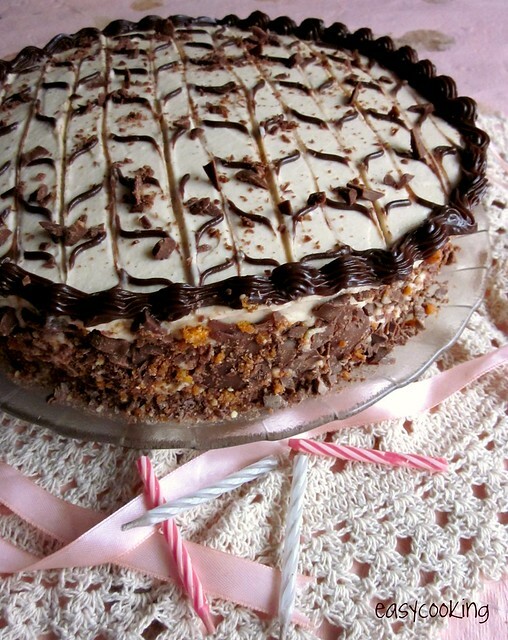 The cake looks delish, good eggless cake recipes are a find, shall try it out! lip smacking and awesome cake. A perfect b'day cake and delicious too. Wat a really feast for tiramisu person like me..Lovely..
Belated happy birthday, Divya! Tempting cake.. tiramisu is my favorite dessert.. one suggestion don't skip the kalhua, that is what gives it the kick.. I cudn't make this year for my b'day becoz of the kid..I cud kill for tiramisu :)..hope you had a good one! The cake looks gorgeous! I admire your patience. U r getting so perfect in decorating..the piece looks tempting! Speaks volume abt ur baked goodies output! Tiramisu is such an awesome desert. Looks fabulous. Wowie! Bet you made this with tons of confidence as you are able to make the perfect basic sponge cake! Love the decoration! the slice looks delectable! I was thinking of baking our tiramisu cake for christmas.will give a thought about this too! 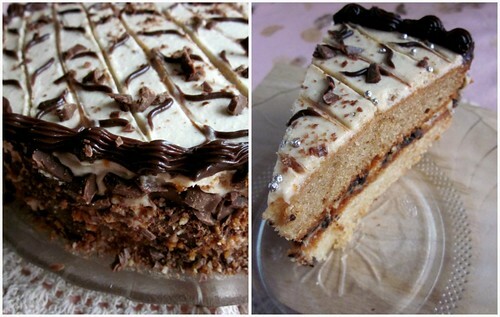 Looks delicious, I love tiramisu so much and I have made it before but I never thought to build a cake from it! where did u get the heavy cream? since you said pasta bar i am assuming u are from chennai? (i hope) I find it very difficult to find heavy cream. Can I have a recipe to make it from amul fresh cream please? Cant wait to try this recipe! Your cake looks lovely and I m keen on baking it tomorrow itself for my father in law's bday. However, I hv a doubt...ur recipe says...double the cake batter recipe or bake two cakes. While u have in my understanding used just one cake fir the tiramisu. So I m confused. Please clear this one asap as I don't have much time in hand.